If you guys remember, I reviewed the SoloStove a while back and was pretty impressed with it. It’s a pretty nice, lightweight, found-fuel backpacking stove that works really well. There is a self-reliance side of me that really likes the idea of not having to rely on, or carry, a commercial fuel source for my stove. The SoloStove guys have developed a couple of new stove options since my last review and they have a new Kickstarter campaign to draw funding for production. 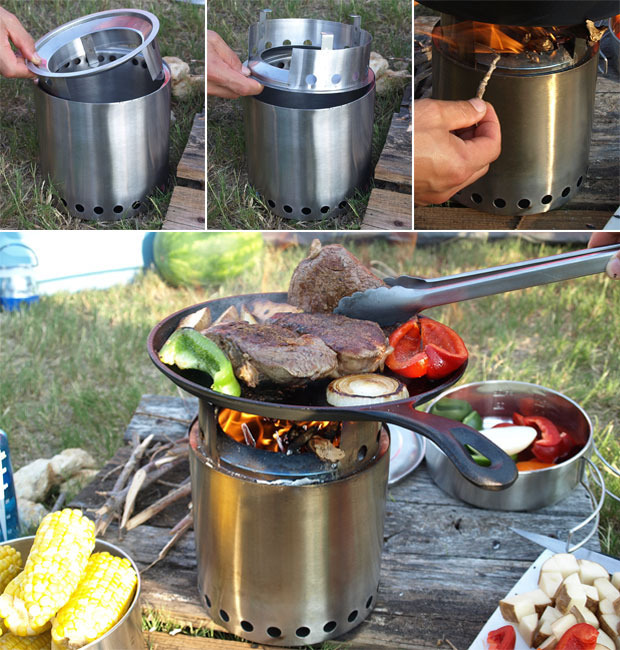 The new Campfire Solostove is designed for larger-scale cooking for friends or family around camp. 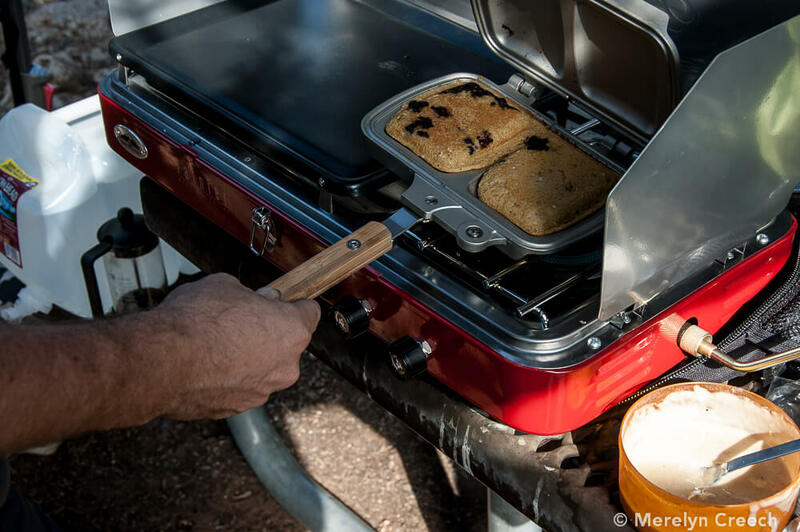 The larger size, and weight, makes it more of a basecamp/car camping cook stove but allows for a greater degree of cooking. 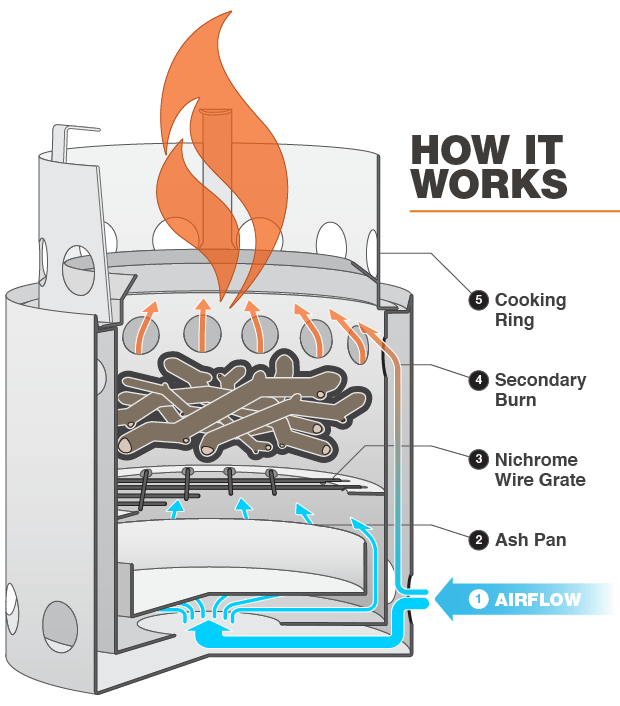 The new design comes from customer feedback on the original Solo Stove asking for larger capacity cooking ability in the same compact, super-efficient, found-fuel design they appreciated in the original design. If this is something that interests you, check out their Kickstarter campaign and help them get this new design funded. As usual, kickstarter allows you to buy into these new products early at a (usually) reduced price. If you really want to get set up, they are offering a complete Campfire Cook Set that includes 2 pots with lids, the Campfire Solo Stove and a Tripod for cooking above the fire for under $200. Everything nests together to save space and it’s a pretty nice little set. Car camping with my wife has been a lot of fun and a huge learning experience. I am so accustomed to camping alone and only worrying about my own comfort that I let a lot of things pass just because they’re not priority. One of the biggest things that changed when my wife and I started camping together was the camp food. I had come into a habit of treating food like a necessary evil when camping or backpacking, making it as painless, lightweight and worry free as possible. I would do a couple of nights in the desert with some oatmeal, trail mix and a big bag of beef jerky. That kind of thing won’t fly when we’re camping together. First of all, my wife is a vegetarian. So the beef jerky staple is out and she’s not much for dried fruit, so I have to think about fresh ingredients when possible. Car camping with the cooler makes it relatively easy to manage, backpacking is a little more of a challenge. But I promised my wife “plenty of snacks“ in our wedding vows and that means making sure she is fed well even when we’re out in the middle of nowhere. Luckily, there are some easy go-to dishes that have become her favorite camping meals when we’re on the road. This sounds easy, but there’s some thought that goes into this. The right bread, the right cheese(s), grilled veggies to add…you gotta get it right! My wife’s running favorite is white cheddar, goat cheese and grilled sweet potato on wheat bread. If I’m feelin it, we’ll add a few jalapeno slices for some spice. Remember in Cub Scout camp-outs wrapping veggies in foil and tossing them over the fire? Yeah, that still works. We’ll slice up some sweet peppers, squash and mushrooms then add a pad of butter and some seasoning. Wrap the whole thing in foil and grill over an open flame. For a little extra punch I’ll add some jalapeno mustard to the mix. Breakfast is usually oatmeal (we make it a little extra watery so we can add powdered peanut butter to it – AWESOME!) but once in a while I’ll make pancakes while we’re at camp if we have time. On one of our trips to Grand Canyon we got up early so I could shoot the sunrise. When we came back I put coffee on and started on a big breakfast. I had some sweet potato pancake mix to which I added powdered peanut butter and blueberries. I cooked them in my fancy new contraption from Snow Peak and they were amazing! So good they didn’t need any syrup. Even if you’re eating prepared, freezedried or leftover food from home, always bring a few fresh ingredients to add some dimension to your meal. I generally bring a lime, at least one jalapeno and an apple. Dice the apple and add it to oatmeal for some fresh, sweet crunch. Add diced jalapeno to pasta, rice or chili dishes for some fresh spice or add slices to sandwiches and eggs. Lime juice goes a long way to freshen Thai dishes, Mexican dishes or even eliminate that weird flavor we often get from filtered water. 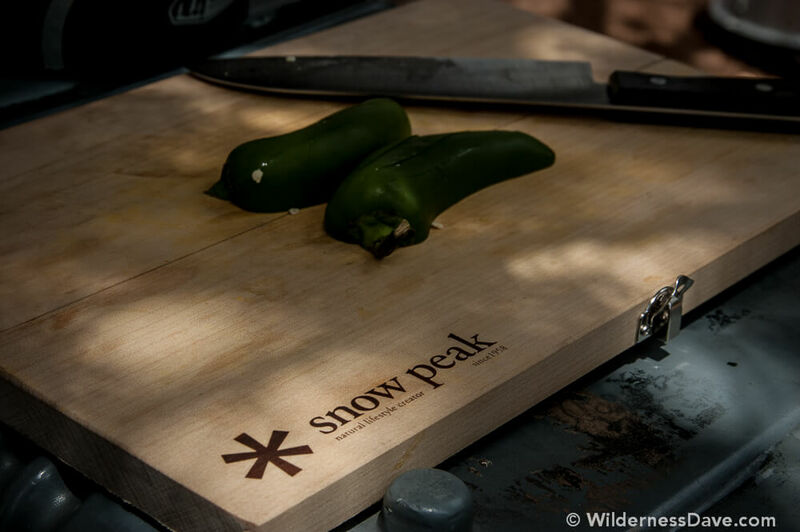 For more Camp Food tips, tricks, ideas and recipes check out the Sierra Trading Post Social Hub post about Food for the Outdoors.